In the age of fast paced business saturated with technology, it can be easy to forget the simple difference that natural sunlight can make between a stressful work day and a successful one. Unnatural florescent lights that are use prominently in large office spaces, schools and other public spaces can cause stress on your eyes and nervous system. However, direct natural sunlight streaming through large office windows is usually no better, as it causes an extreme amount of glare on computer screens and can cause overheating and mental exhaustion, especially during those long Colorado summers. But have no fear, behold an elegant solution from Denver Window Film: Daylight Redirecting Window Film. The latest in window film innovations from 3M, daylight redirecting window film utilizes micro-replication technology to redirect light coming through windows. Normally, when light from the sun travels through a window, the light travels in a straight line and illuminates the ground and walls that happen to fall in the direct path of the sun light. With daylight redirecting window film from Denver Window Film, the light passing through the window is instead refracted upward, hitting the ceiling and illuminating the space with gentle, indirect, natural light. See for yourself the difference that Daylight Redirecting Film can have when applied to an office space with floor to ceiling windows. We stand 100% behind all of our window film products. And why not, they are the very best! 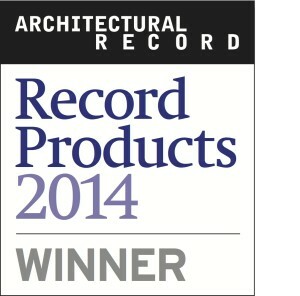 In fact, 3M’s Daylight Redirecting Window Film won the Architectural Record “Record Products 2014” Facades Award last year. Yep, its just that awesome. If you’d like to schedule a FREE consultation with one of our experts to discuss how a window film upgrade can benefit your space, please fill out the form below, give us a call, or visit our contact page.